October 3, 2018 October 3, 2018 Mezeron NewsLeave a Comment on HELP MEZERON SUPPORT THE ISLE OF MAN – THIS AFFECTS YOU! Please share with all your facebook friends and ask them also to complete the online survey today before it closes! 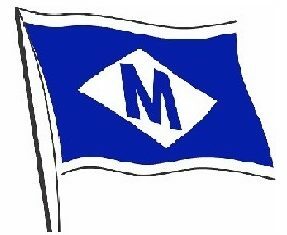 Mezeron are the only truly independent Shipping Company running vessels to and from the Isle of Man. In addition to our regular services between Ramsey and Glasson Dock and Belfast, we also provide break bulk, hazardous and other cargos to/from the Island such as the road salt to melt the winter ice on the roads, the fireworks to celebrate Guy Fawkes and New Year, (not to mention TT Week), and the movement of construction plant and machinery. We need your help to achieve a level playing field in supporting the Isle of Man freight and ferry services by completing the Government Isle of Man Ferry Survey, (which needs to be completed by Sunday, 07/10/18), Click the above link. Freight forwarders and customers shipping to the Isle of Man should have NO PREJUDICE FOR USING MEZERON AND IOM STEAM PACKET to carry cargo by the nationalised IOM Steam Packet if they utilise Mezeron to bring freight to the Island. Currently this is the case. The new ferry facility in Liverpool being paid for with your (tax payers) money should be a facility providing ACCESS FOR ALL SHIPPING COMPANIES serving Isle of Man residents and not exclusively customers of the Isle of Man steam Packet Co.
Government “Strategic Sea Services Policy” document states the recognition that the Isle of Man Steam Packet Co should have preferential use on the Government owned Linkspan – we want to make sure this is PREFERENCE BUT NOT EXCLUSIVITY so that other users can utilise the linkspan and keep costs lower for IOM customers. Mezeron is not only a ship owner and operator. We are a major carrier of cargo on the IOM Steam Packet, we should be treated like other Freight/Haulage firms and be granted the SAME RATES, (INCLUDING A COMMODITY RATE), AS OTHER MAJOR OPERATORS on the Isle of Man Steam Packet Co. This is your chance to have your say and to help Mezeron be recognised for the necessary service it provides and not disadvantaged just because we are independent of Government and have not been Nationalised. We believe we provide a valuable service complementary to the IOM SP and adding value to IOM residents through keeping costs down. Support Mezeron. MEZERON – MOVING THE ISLE OF MAN FORWARDS!